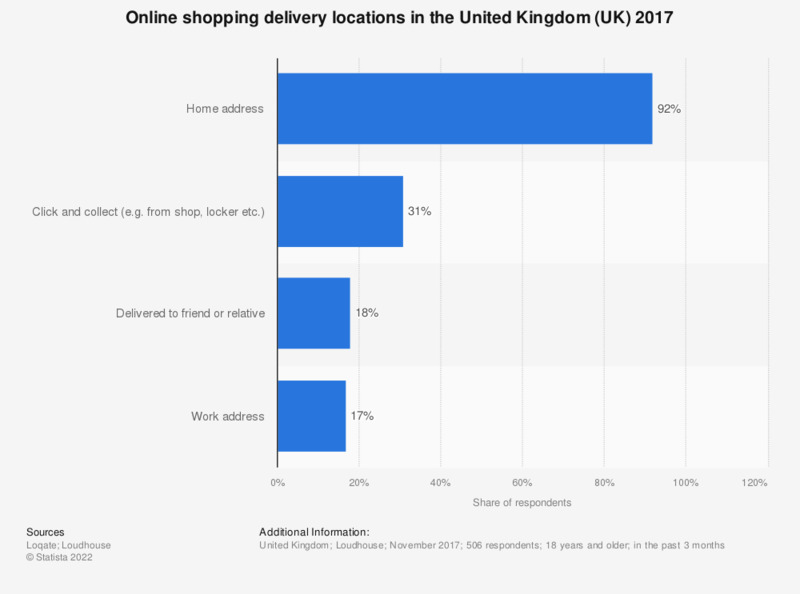 This statistic presents the most common online shopping delivery locations of online shoppers in the United Kingdom (UK) as of November 2017. According to Loqate, a GBG solution, 92 percent of online shoppers had an online order delivered to their home address within the past 3 months. Question: Where have you had online purchases delivered in the past three months?